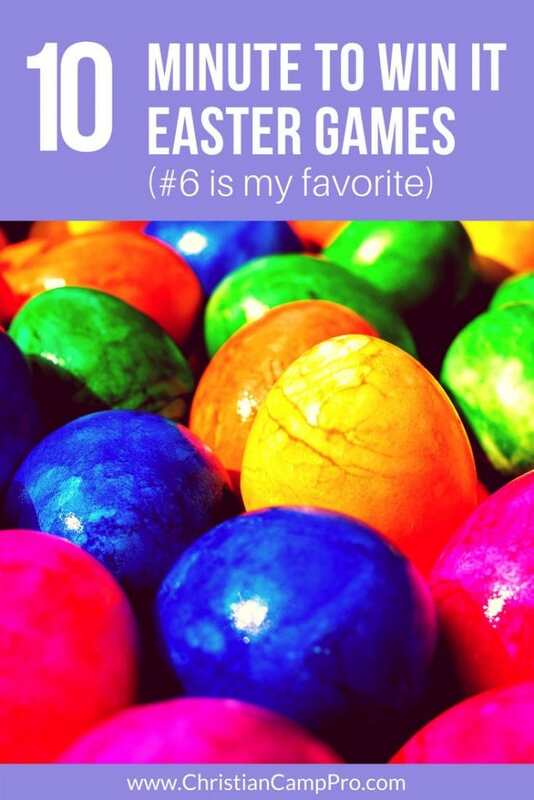 10 Quick Minute To Win It Easter Games - #6 Is Genius! 10 Quick Minute To Win It Easter Games – #6 Is Genius! Easter is an exciting yet busy time of the year for churches and retreat coordinators. 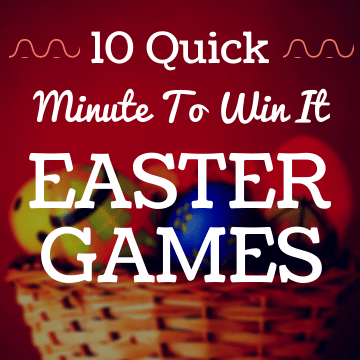 That’s why we wanted to make it easier on your by providing a list of the 10 best Minute To Win It Easter Games! To make all of these games have that extra bit of Easter flare, consider decorating standard eggs and turn them into Easter eggs. Don’t forget you can change the rules and objects of any of these games to fit your needs or holiday. Arrange 4 NFL footballs upright (preferably using a kickstand). In one minute, stack 4 Easter eggs on the tip of each football. How to play: Place three Easter themed stickers sticky side up on a flat circular pizza pan. With one egg placed in the middle and only using one hand, roll the egg around the platter to stick each sticker to it. How to play: Using 4 Easter eggs and 4 paper towel rolls build a tower. Be careful not to get out of line or it will come crashing down! By far my favorite candy! How to play: Two players race to see who can eat the most Cadbury candies in one minute. This includes having to unwrap them. How to play: A team of two tries to see how many peeps they can toss in a bucket in one minute. The team with the most peeps wins. How to play: Eat a chocolate and peanut butter piece of Easter candy and whistle “Jesus Loves Me” in under one minute. How to play: Using Easter bunny and Chick candy two people race to build the highest tower out of their candy in one minute. The highest tower wins! Be sure to have a lot of candy ready. How to play: Two teams race to toss as many jelly beans into their cups as they can. The team with the most jelly beans in their cup after one minute wins. Be sure to share this post with your friends and Pin it on Pinterest! If you liked this post, you will love our post with 17 great minute to win it Christmas games. Special thanks to Sunstream Retreat Center for making this Easter games article possible.